According to a tranche of 240 pages of confidential negotiating documents on the proposed Transatlantic Trade and Investment Partnership (TTIP) leaked to Greenpeace Netherlands, the Obama administration has been pressuring the European Union to allow the importation of hormone-tainted meat and genetically-modified food products in return for easing US import tariffs on European automobiles. 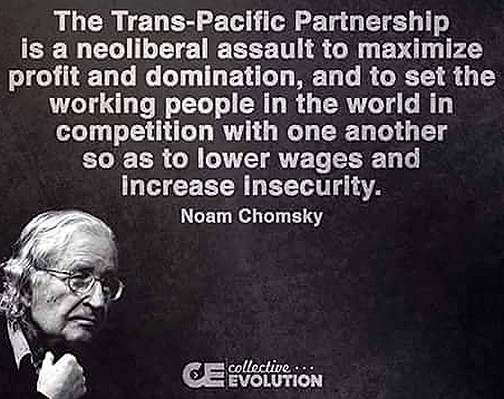 Critics of the TTIP claim that it is nothing more the companion Trans Pacific Partnership (TPP) on steroids, as far as granting multinational corporations unlimited powers to override national and supranational laws. These include those of individual EU member states and the European Union itself. 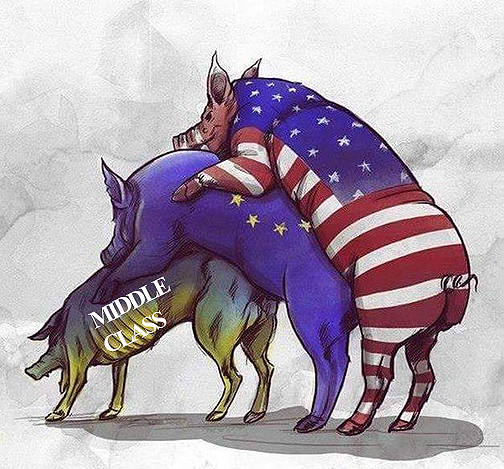 EU member states are increasingly growing critical of the ramifications of the TTIP for the 508 million European citizens that greedy, corrupt, and relatively regulation-free US corporations are eyeing as potential consumers. In an interview with the French newspaper Sud Ouest, French Trade Minister Matthias Fekl, a critic of the TTIP, said after the disclosure of the TTIP papers, "Europe is offering a lot and we are getting very little in return. This is unacceptable." 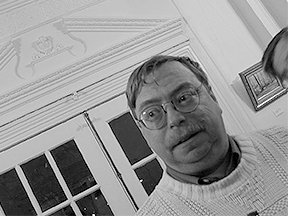 Fekl added, "It is a deal that – in the state it is in today – would be a bad deal." Fekl and other European officials are concerned that Europe’s health and environmental regulations will be the first casualties if American corporations are permitted to run roughshod over existing European environmental, food safety, and public health protections. Fekl also dislikes the fact that the United States wants to place trade disputes before private arbitration panels and not through the court system. French officials, including Fekl and Prime Minister Manuel Valls, are warning that France may terminate its free trade negotiations with Washington over the current problems with the TTIP and American stubbornness. 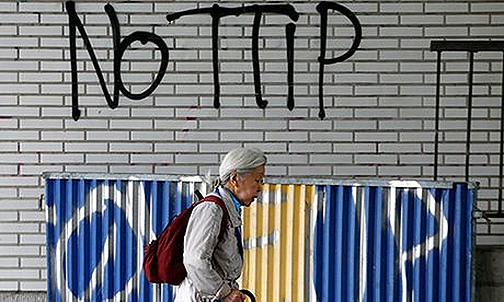 No one has been more supportive of the TTIP than the Wall Street-installed Barack Obama. The reason why the Republican presidential hopeful Donald Trump and Democratic presidential upstart Bernie Sanders achieved so much success in upending the hierarchies of their respective political parties is that the American public – right, left, and center – have rejected the free trade deals backed by Obama. The anti-free trade public, a clear majority of Americans, have soured on establishment Democratic presidential candidate Hillary Clinton and all of the Republican candidates, including Ted Cruz, John Kasich, Jeb Bush, and others who have benefitted from the financial backing by pro-TTIP mega-corporations like Goldman Sachs and Monsanto and corporate political action committees. One of the main targets of the United States government in its secret negotiations with the EU on the TTIP are the EU Consumer Centers, that protect a half billion European citizens, as well as animals, from harmful chemicals and other substances in food and other products. For example, the United States is perfectly fine with lead and 1296 other known carcinogens being in cosmetics. The EU prohibits such poisonous substances in cosmetics. The EU prohibits the use of animals in testing cosmetics. The United States does not. It is significant that the TTIP documents reveal that the chemical industry has served as consultants to TTIP negotiators. Obama, a creature of Wall Street, has used his position of president to warn the United Kingdom that if it votes to exit the EU in the upcoming "Brexit" referendum, it will go to the back of the line in negotiating a separate free trade deal with the United States. Obama also made similar threats against Scotland prior to its referendum on independence in 2014. Britons are rightly concerned that opening up health services in Britain to American firms may lead to the privatization of the National Health Service. Similar plans to allow US educational and water systems firms free access to Britain may also lead to higher education and water utility costs for Britons. 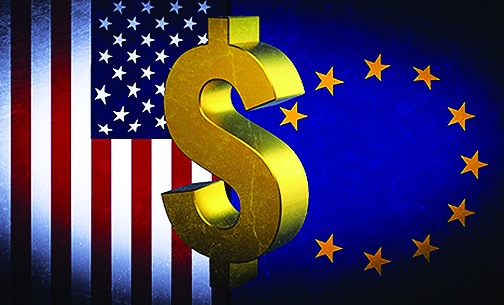 National health care systems throughout the EU may also face privatization if American transnational companies move in and begin charging usurious rates for health care and prescription drugs. Americans have seen this borne out under "Obamacare," which has rationed health care services at the same time it has increased health care premiums and expensive "co-pay" costs for patients. The release of the TTIP documents also spell trouble for German Chancellor Angela Merkel. 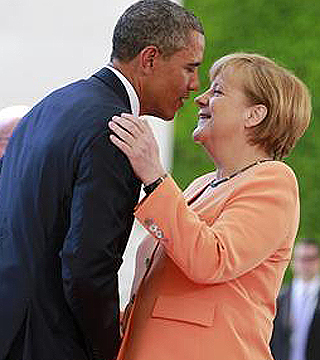 The disclosure of American pressure on Europe in the TTIP negotiations came a week after Merkel, standing next to Obama, praised the TTIP at an international trade fair in Hannover. The gist of the TTIP documents show that Merkel is even more of a pathetic lapdog for the United States than previously believed. Before the 240 pages were released to the public, lawmakers on both sides of the Atlantic were only able to read trade pact documents in special secure rooms with the proviso that jackets, phones, briefcases, other electronics be surrendered to guards who would watch legislators during the maximum two-hour reading period permitted. Legislators were also banned from speaking about the contents of the documents. Restricting legislators from commenting on sensitive documents that concern the world’s global elite, whether they are the corporate directors of Goldman Sachs, Monsanto, Exxon Mobil, and Koch Industries or the terrorism-supporting potentates of Saudi Arabia, has become the standard for governance on both sides of the Atlantic and, indeed, around the world. 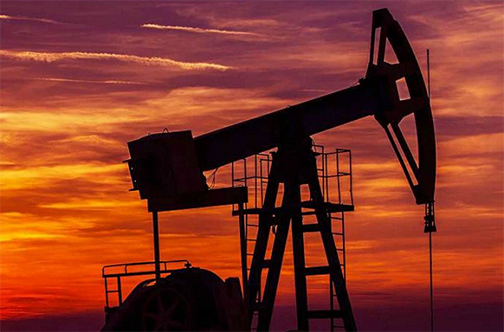 European jurisdictions that have been hostile to the practice, honed by US natural gas extraction companies, of "fracking," the production of gas from shale rock, could, under the TTIP, be powerless to stop the process. People in Bulgaria, Lithuania, and Belgium could find themselves in the same predicament as people in Pennsylvania, who have turned on their water taps to find flames spewing out. Not only does opposition to the TTIP embrace political leaders from the right and left in Europe, but it does not sit well with American leaders cognizant of the threat of the TTIP to the constitutional rights of US states and territories. For example, some US states have legislated "Buy American" clauses in their procurement laws and regulations for goods and services. If implemented, these clauses would be canceled, thus permitting a Romanian or Polish contractor to bid on a dam construction project in Idaho or a bridge building contract in Maine. This prospect in highly unpopular with small-to-medium American businesses, as well as US safety, health, and environmental regulators and labor, environmental, and job safety groups. US state judicial systems, as well as their counterparts in the länder of Germany and Austria, regions of Spain, and counties of Ireland, also fear that their authority to regulate businesses will be superseded by unaccountable TTIP arbitration courts. Even national court systems, including the US Supreme Court, may find their hands tied by TTIP supranational authority. 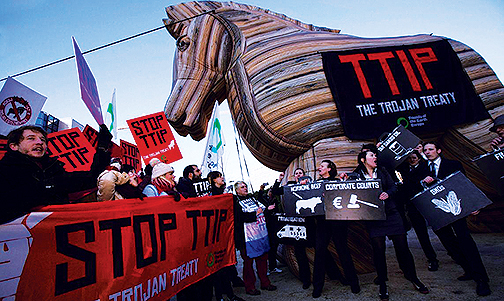 Those who disclosed the TTIP papers saw the dangers posed by the treaty to Europeans and Americans. In keeping with the current global spirit of making all classified documents public, regardless of the law, those who leaked the TTIP papers may have driven a final stake in its heart. Hopefully, similar future disclosures will also strangle the equally-dangerous TTP to its last breath.